We get it. It’s confusing to see all the different Opera browsers and icons in the Google Play store. So, let’s clear that up for you and help you choose which browser – Opera Mini or Opera browser – is right for your Android phone. For starters, the silver Opera icons represent the test versions of Opera Mini and the Opera browser. Before adding any new features to the main browsers, we add them to these test or ‘beta’ versions so you can try them out. Testing these betas helps our engineers get feedback on the new improvements, identify bugs and fix things that don’t work. This is an important step before we update the final browsers to these versions. If you’re not into experimenting and prefer to play safe, then just focus on the red Opera icons. There is no denying that both these Opera browsers are easy to use and secure. They both give you a faster browsing experience and help you save on mobile data. In fact, recent tests have proven that Opera Mini helps you browse nine times more webpages than the other popular browsers. The biggest difference between Opera Mini and the Opera browser for Android phones is their backend compression technology, or how they make web pages smaller and open them on your phone. 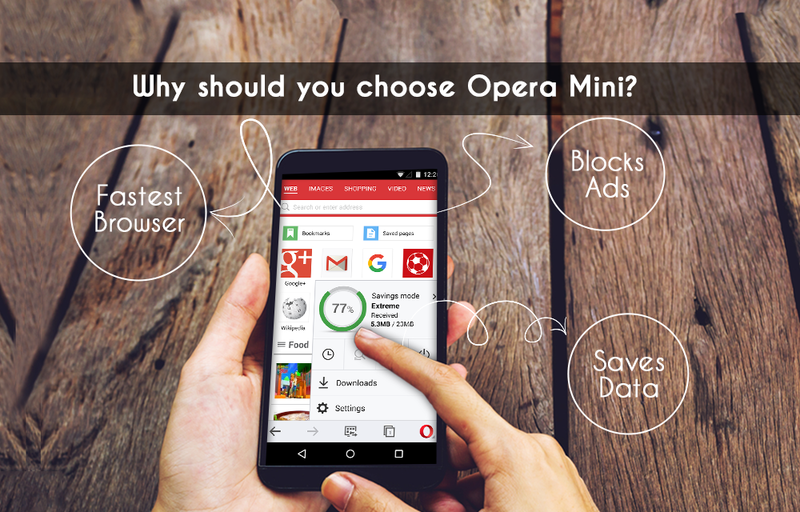 Opera Mini is a cloud-based browser that takes very less space on your phone. All your browsing with Opera Mini goes through Opera servers. These servers compress web pages, including text and images, down to 10% of their original size. Because of this, Opera Mini is able to open websites even when you are on a congested/ fluctuating/ bad network area. We think Opera Mini is the best companion when you travel. Outside the city, it can help reduce roaming or out-of-network charges. 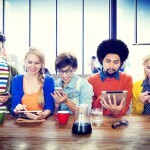 On your commute or in crowded cities, it can help speed up the web and get you to your content faster. The Opera browser for Android is designed to give you a full-browsing experience. That means websites open as they would on your desktop computer. It’s best to use this browser on your high-end smartphone, especially when a majority of your browsing happens over Wi-Fi. You can watch full-quality videos, stream high-quality audio and generally enjoy pages, even if they weren’t optimized for mobile viewing. The Opera browser doesn’t compress the web by default. But, you can switch on Opera Turbo to save data and speed up your connection. 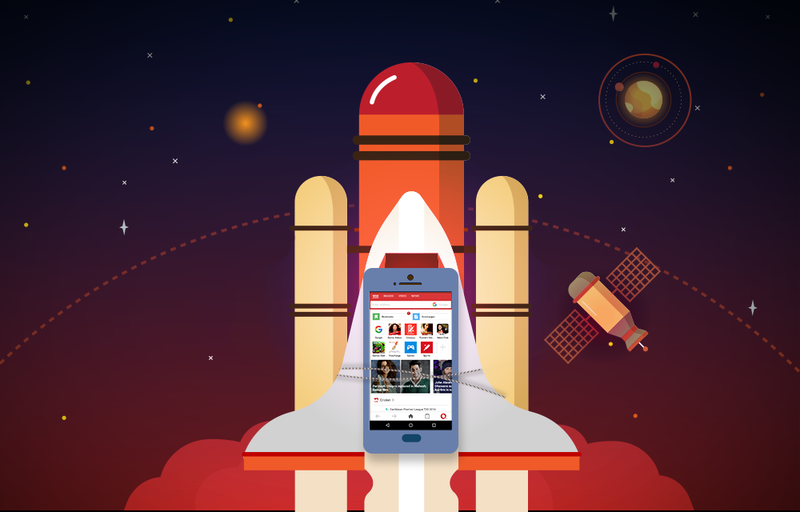 With Opera Turbo, the Opera server compresses web pages up to 50%, and you get the rich-media, full-browsing experience you expect on your high-end phone. Hope the above information was helpful. Feel free to share this with friends who might have a similar confusion.